For the third year, the libraries network of the University of Liege (ULg Library) organizes an “Open Access Erasmus Staff Week” to expose, question and reflect on the new roles and opportunities which emerged from the Open Access & Open Science movement for the academic libraries. Based both on ULg Library’s expertize and on each participant’s experience in Open Access, the main OA components will be addressed : mandates, author rights, Open Science, libraries roles, etc. Some sessions will be collaborative and, for others, participants will be invited to expose their own open access experiences. When? : 8 to 12 may 2017, english will be the working language. The application deadline is March 10th, 2017. 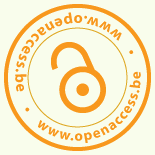 Don’t fall into the trap: this is not Open Access!